This vessel is also one of the (today) three owned vessels by private persons. In April 2012 it was the opening of the international alpine races Ingemartrofén in Tärnaby Sweden. 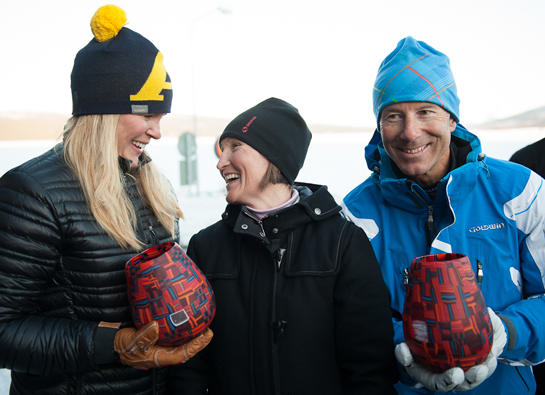 It was a top opportunity for the worlds most successful ski club Tärna IK Fjällvinden, together with the local business alliance called PR-föreningen, to present a gift – one of the hundred vessels part of the art project 100 MIGRATORY – as a thank you to Ingemar Stenmark. He recieved vessel no. 86/100M ( he won 86 World Cup alpine ski races during his career). However, he can take ownership of his glass vessels first after the final exhibition of 100 MIGRATORY in 2014.